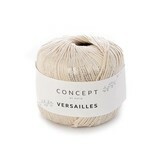 Katia Versailles is a great yarn option for all your fancy knitting and crochet needs. This dk weight yarn will add a touch of sparkle to your hand crafted shawls, scarves, tanks and tees. You'll find your eye being drawn in by the strand of shimmering thread woven throughout as the light catches its sparkle. 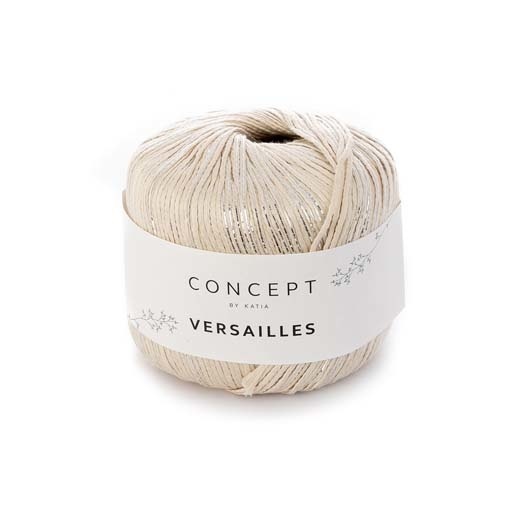 Versailles is a nice yarn option for warm weather climates where working with wool isn't always an option.